The digital revolution continues to advance and the electronic book is quickly penetrating all markets where the physical book once dominated. A fascinating area of growing concern is how to actually share a page reference in an electronic book. There is no one to one correspondence, of pagination from a printed book to the multiple electronic book format, page displays. Reading is primarily a solitary experience but in certain reading related endeavors, citing an exact page reference is required and opportunities for community experience, especially when it is so easy to cite a specific page or page range that cries out for sharing, abound. How to cite a page from an electronic book is being discussed and debated within the academic world. It seems a minor annoyance but one that is vexing scholars, students and scientists who must carefully note a page reference to support an argument, statement of fact, or to indicate the breadth of knowledge being displayed. A simple page reference provides a pointer so that the critical reader is able to verify the reference, meaning and importance. This challenge is not only academic but also a concern for anyone who finds it easier to point someone to an actual page when discussing a book. An example from my childhood suggests the power of the page reference. This was not simply a reference to a page but an encrypted message implying the content of the page in question was controversial and needed to be kept secret, espcially from innocent children. I still believe this example serves as a wonderful reminder that the shared experience of reading is best supported by a physical artifact, the printed book. Will the challenge of page citation be a perpetual thorn in the side of the e-book revolution? I doubt it, but it will continue to cause confusion until a standard referencing system is adopted. The success of the electronic book is due to many factors and one factor continues to drive the move towards e-books, price to the consumer. The basic idea is that without the investment in paper, printing, binding, storing, picking, packing and shipping, a publisher can slash the price of an electronic book and the price charged the consumer plummets vs the printed book. What happens, however, when the question of common page referencing is resolved? The simple solution is that every electronic book will need to be programmed so that each word or paragraph is numbered so that a standard page/paragraph reference is pre-defined. Who will program that numbering algorithm? This will surely increase the cost of either the e-book machine or the cost for the publisher in creating the universal book source file. And what do do about e-books that are simply scans or books currently in the e-book marketplace. Will these all need to be re-scanned and re-programmed? Will this be a significant cost? I don't know, but no one likes change, no one is looking to add to costs and no one, especially the consumer, wants to pay more! I predict that standardization of page, paragraph and word numbering is on the way and will raise the price of e-books. 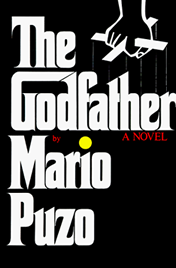 For me, I still have trouble believing that timeless reference to page 27 in The Godfather will ever be replaced by, "Did you read the page following word 2,656 or paragraph 329?". A very active part of the campus is the extension activities.KENYA In order to develop a certain humanitarian temper, the National Service Scheme has been developed by the University.